They say, “ignorance of the law excuses no one”, and the maxim also stands true for self-employed professionals. 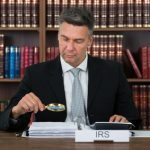 Tax laws impose stiff penalties on those who fail to honor their tax liabilities, which is why it is essential for self-employed professionals to familiarize themselves with all applicable taxes. While some engage in acts of creative accounting, others find themselves in the same category due to a lack of information, and therefore, at odds with the law. Let’s take a look at who fits into this category and the precise obligations entailed. As a self-employed individual, you are required to file an annual return and pay estimated quarterly taxes if your net earnings as self-employed exceeds $400. Self-employed income tax, a social security and medicare tax, is also applicable on the income you receive from part-time work, besides the income from your primary occupation. If, however, your earnings are less than $400, you may still file a return if you fulfil the requirements listed in Form 1040. Whether you earn profit or loss, you are required to file a schedule C, or Schedule C-EZ for Net Profit, along with Form 1040. You may also use Schedule C-EZ if you have expenses less than $5,0000 and meet other conditions. Self employment taxes are applicable even if you are leveraging Social Security or Medicare benefits. Use Schedule SE (Form 1040) Self-employment tax to figure the tax due on your net earnings from self-employment. To file self-employed tax, attach the specific schedule to your federal tax return. If you are self-employed, you are expected to make estimated tax payments. Estimated tax is a method to pay income and self-employment taxes along with other obligatory taxes. 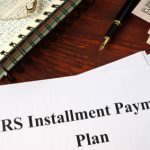 Estimated taxes are usually paid in four quarterly installments and failure to pay enough taxes throughout the year may attract a penalty. In fact, you are required to pay estimated taxes even if you have a refund due on your tax return. As a self-employed professional, you are allowed a certain amount of deductibles from your business expenses – both ordinary and necessary. Ordinary expense are those that are typically related to your specific industry and necessary expenses are the ones that are helpful for your trade or business. Typically, you are allowed to deduct business expenses in the same year you paid them. 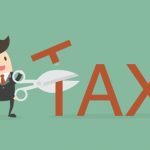 Whether you file your taxes as a sole proprietor, independent contractor, or a partnership, you are liable to pay certain taxes to both federal and state governments. Moreover, if you have employees on your payroll, you may also have to pay standard payroll taxes. Though we have covered the taxes a self-employed person is liable to pay, you need to be careful with the paperwork, as even a small error may lead to a big problem. 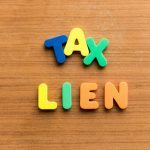 Should you need help exploring all of your options to resolving your IRS tax problems please call The Law Offices of Nick Nemeth and schedule a free consultation. Call us at (972) 627-4705 or fill out our contact form.